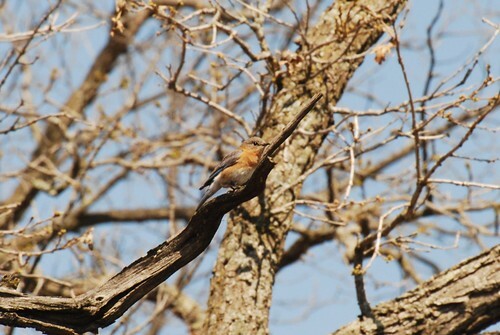 Eastern Blue Birds nesting in my back yard! The scientific name is Sialia sialis. 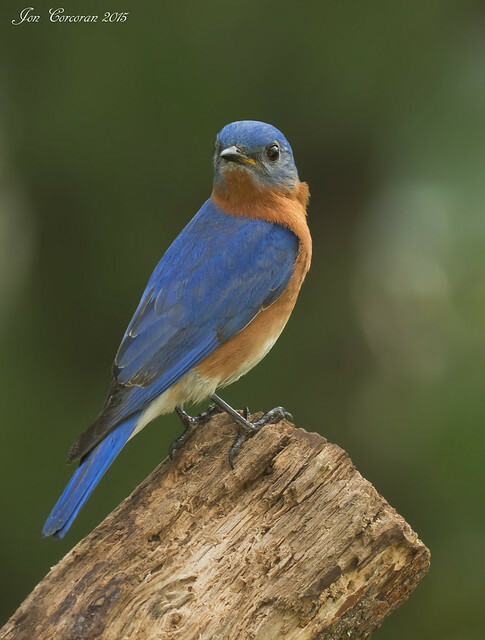 This is pretty awesome because these Blue Birds are endangered. 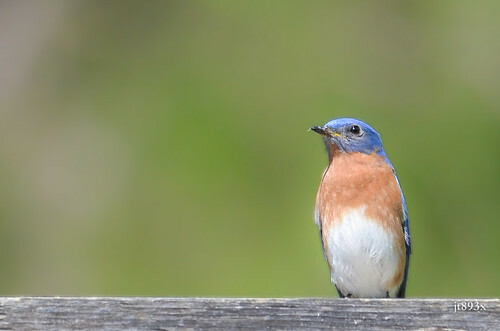 Mr. & Mrs. Bluebird laid five eggs. They fed them and groomed them. Then the babies fledged. Watch it happen over the course of 16 days, from the time the babies hatched til they flew the coop. 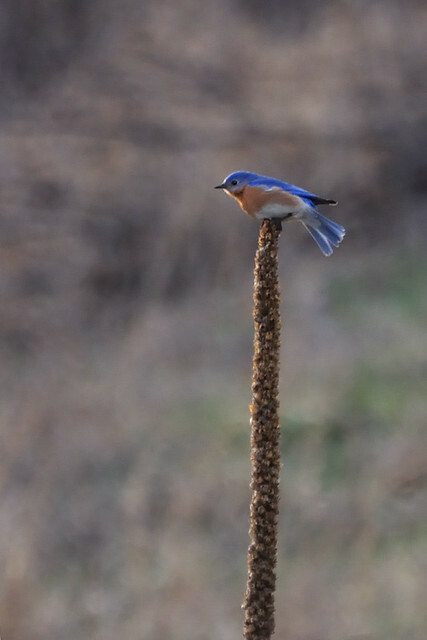 Eastern Bluebird (Sialia sialis) pair at my neighbour's mealworm feeder. They were going back and forth, feeding the babies.